Your wife will love me, your hubby will adore you! Oh Big Daddy is going to LOVE going through these drawers! I think someone has a sweet tooth! And what do you know?!?! One happy man. I think it is all the little things that truly matter. 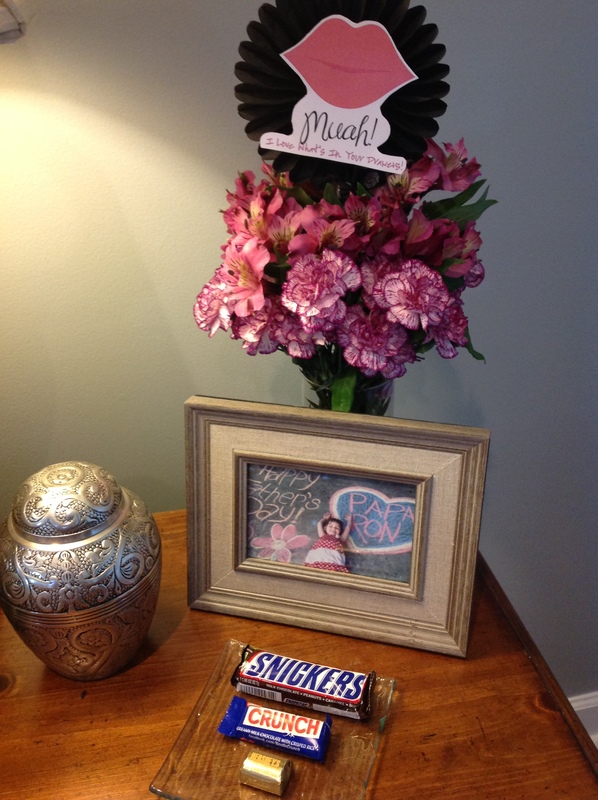 Small gestures, taking a moment to think of him…not to mention the fact that the candy might just be your favs too! I would love to see what is in your drawers…NOT THOSE DRAWERS SILLY! 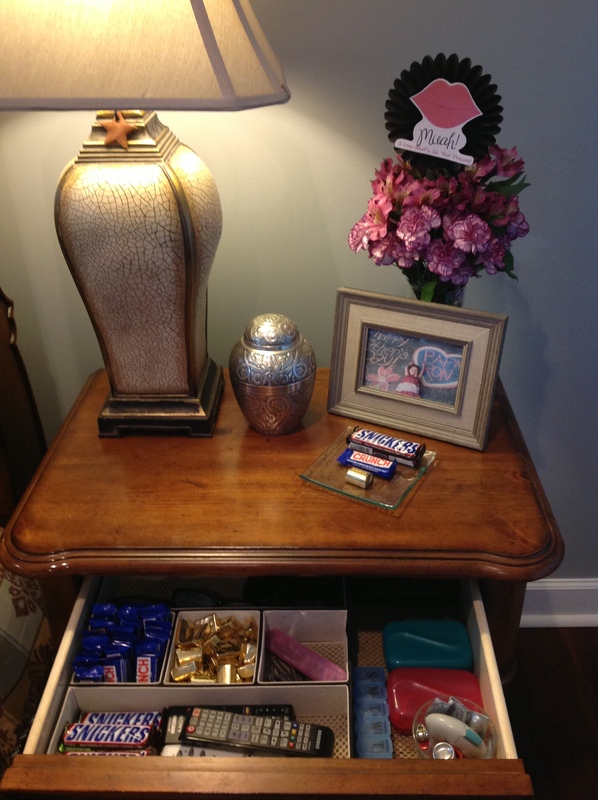 YOUR NIGHT STAND DRAWERS!